Villa Regina is anything but a normal sky scraper in Brickell. It is a Technicolor compound in the heart of the city. Built in 1982 by Arquitectonica with the building façade by Yaakov Agam, this 30 story building has 203 residences between one and six bedroom floorplans. The views from Villa Regina are some of the finest in South Florida with views of the Atlantic Ocean and the Biscayne Bay. Floorplans are spacious with wrap around balconies and most have been updated with the latest finishes and appliances. The amenities are diverse and varied including, 24 hour security, covered parking, private marina, social room, lavish pool, health club and spa, and waterway. In total Villa Regina has 40,000 square feet of air conditioned common area and 60,000 square feet of pool and marina area. This expansive property is ideal for those looking for urban living with their boats directly outside their home. 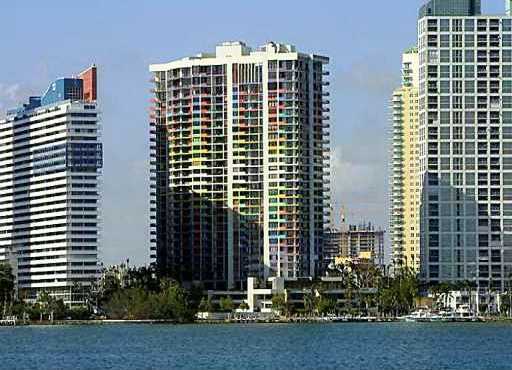 Villa Regina is located directly on Brickell Avenue in the Brickell neighborhood of downtown Miami. Brickell is the center of the financial district of Miami and is a largely pedestrian community of professionals and families enjoying a Manhattan style of living. There is easy access to public transportation with the metro rail and the entertainment and dining in Mary Brickell Village and soon the opening of Brickell CityCentre, Brickell is one of the best places in Miami to live. Those needing to commute will find the neighborhood very centrally located with South Beach and Miami International Airport under 15 minute drive and Coconut Grove and Coral Gables both under 10 minutes drives. Boating enthusiasts and city-dwellers have their perfect union at life at Villa Regina.